Every year a student is chosen to get a scholarship to graduate at the official Werewolf Committee. No one gets to meet or even see the high society wolves unless they are lucky enough to be born into a family of wealth, or to be chosen as a scholarship graduate. Elina Weitzel is the year's chosen scholarship graduate and she is the person who was least expected to be chosen. 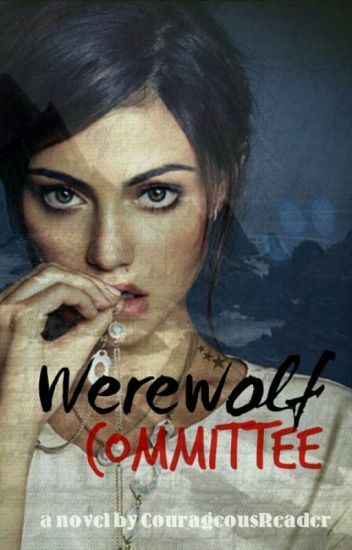 However even if she doesn't know it, she has the qualities the Werewolf Committee were looking for: Confidence, Academic, Athletic, Ambitious, and Compassionate. Little does she know, one of the powerful Alphas turns out to be her mate. Jesse Falls Anderson is the daughter of Daniel Anderson and Riley Falls. She has half alpha and half warrior blood in her but the problem is her warrior blood is more then her alpha blood. Which means Jesse will have no choice but to find her mate for her pack! But there's a slight problem. Ever since she was small, she never hopes for her prince charming, as known as her mate, to be there for her. It's a good thing she never DID hope for her mate. Why? Well lets just say that there's gonna be a BIG surprise for Jesse. "Most intriguing. You obviously know who - and what - I am, but you don't run." He leaned toward her and felt her body react. "Quite the opposite in fact," he murmured as he kissed her neck. Claire felt a shockwave of desire for him. She wasn't sure how long she would be able to think clearly. "Myrnin, wait...We have to talk...You have to remember," she said between breaths. "My dear, you needn't use such far-fetching pretext to gain my attention," he purred seductively. "All you need to do is ask and I will freely give to you. Not that I don't enjoy these amusements. You have intrigued me. Which indeed, is no small accomplishment." Her breathing was becoming shallow as he trailed kisses from her neck to her ear. Before she could stop herself, she found her fingers entwined in his hair. His voice was low as he stepped purposefully between her legs and slid her forward, right to the edge of the bed, to meet him. He growled softly in her ear, "Tell me what is it that you desire? Ask anything. I promise you won't be disappointed." Claire inhaled sharply, all intelligent thought gone from her mind. She felt his hand slide up her leg - the one sheathed with the hidden dagger - and stop. "My, my, my...Aren't you full of surprises? " he growled low in pleasure in his throat, "Would you like to try to use that on me? I think I might enjoy that game very much." She felt his hand gently remove the dagger and whispered against his lips, "No we can't do this. Not here, not now, and not when you don't remember me." "I will most definitely remember you," he kissed her neck and jawline as Claire felt his wandering hand continue to glide up her leg. "You are quite a contradiction, little Claire. Your lips say no, but..." He found what he was looking for and she gasped. He smiled wickedly. "Your body clearly says yes." Note - Story contains some sexual content and strong language. I do not own Morganville Vampires, just the plot to this tale. Elina Weitzel, the water Elemental, has finally settled into the Werewolf Committee with her mate, the Alpha, Tate. It has been many years and Elina is now pregnant. However, now she has extra abilities and enhanced Elemental skills. Elemental and Werewolf hunters are growing in numbers. There are several attacks on the Committee and on other packs. Before the many Alpha's could even take action, theres a group of hunters who are werewolves themselves. They hunt down the Elemental and Werewolf hunters who threaten their own kind. This group of hunters go by as The Werewolf Commission. Eddie, the air Elemental and Tate's younger brother who now is seventeen, joins this group, in knowing a hunter killed his uncle, Colin. Air is falling out of my lungs. I look down at my legs, they are moving but they feel numb. My feet are aching. My head is spinning. Are they still behind me? The growls behind confirm that yes, Indeed they are. I quickly glance behind me. They're getting closer. "Cecelia. Such a beautiful name." My name rolled off his tongue making me shiver. "How rude of me, I guess I forgot to introduce myself last night, I'm Ryland"
A mischievous grin took over his face. "And don't forget that because soon enough you'll be screaming that name, begging for me as I take you to to the heights of pleasure." His dark eyes now glinted with lust as his face was impossibly close to my own. Hello to all the future readers of this 'Obliviously His' and welcome to the tale of Alpha Ryland and Cece. This somewhat cliche story involves action, adventure, comedy and most importantly: Romance. If so step right in and please keep your hands inside the vehicle as we embark on the rollercoaster that is Cecelia's life. Kendall Keating is in for the shock of her life. When her Alpha father has the opportunity to join the Royal Council, it is something he can't pass up. He sends her and her brother to Castle Cahill for two months to represent the pack. She doesn't want to go, but she doesn't have much choice. Alpha King Finnian Cahill didn't think much about inviting members of the Keating Pack to be vetted for two months. It was something he did time and time again. The difference this time though is the stubborn little brunette with fire in her big, green eyes. The problem is, Kendall thinks he is playing games with her. He acts the doting mate one minute and the strict, aloof Alpha King the next. She knows he's hiding something and she is determined to find out what it is. No matter the cost. As a young child Arieon Anderson was orphaned when she lost a brother and her parents in a fire that started in their home. Dominic Dellucci and some members of his mafia, the Dellucci, were executing a stakeout in the neighborhood on a rival gang member who was undercover as one of his men. Dominic noticed the fire and was compelled to help and that's when he found Arieon, no taller than his knee. His men urged him to leave the child behind but she struck a soft spot within him. Dominic's italian mafia, the Dellucci doesn't believe in senseless crime or killing the innocent. The Dellucci, being one of the four Italian American mafias, have the different views than the others. To become a greater force in the mafia world the Dellucci join forces with the Rivera. However, the Toscani, another family, are after the Dellucci's most prized possession,Arieon. The families make a decision to uphold peace that will shake Arieon's world and force her to uphold her responsibilities to the Dellucci as she marries Luca Rivera and this is their story. I couldn't react before Jason was right in front of me, his wolf taking over by the way his eyes turned pitch black. "Mine." he growled out, taking a step closer to me. His hand brushed my cheek, and sparks erupted. Now, most people are ecstatic finding their soul mates, their second halves, whatever you want to call them. They rejoice over the thought of finding their soul mate. Years ago, I probably would have thought that would be how it turned out. A casual meeting, them feeling the sparks and being overwhelmed by the scent. But now I found myself with the one choice I had left. Go to Jason, who would be extra possessive because he was an alpha, and bring danger to the pack for being a wanted wolf, or running, and hopefully never seeing them again. My wolf's heart broke at the thought, but I was left with no choice. After being the most wanted werewolf in the country, Amy Barlow decides to go into hiding. She chooses a small town on the border of the Silver Crescent Pack Territory - one of the most powerful packs in the nation. At first, changing her name to Kara Thomas and dying her hair blonde seems to be enough to throw people off her trail, but when something happens that is not planned for, her original idea crumbles. Will she be able to stay hidden long enough to not get caught? Or will she fall into the hands of a trap? With her mate close on her tail, how will she ever hide? Once the sequel is completed, I will rewrite this one. Stay tuned! "I, Alpha Asher Reed, reject you as my mate and Luna" he didn't blink. He didn't show a spark of remorse. He just walked away. Asher Reed. The 19-year old alpha. Like his name states, he is lucky. Lucky that the Moon Goddess blessed him with a kind, caring mate. But he rejects her. He rejected a Princess. Genevieve (Eve) Burke. Princess of the werewolves. At 18 years old, she is preparing to rule the werewolves as their queen. But she needs a king. Another ruler. Her mate. Can Eve survive without her mate? Harper is a shy and timid girl who is the constant target for the school bullies. But when her family relocates to the other side of town things begin to look up for Harper. Now with close friends, Harper embarks on her last year of high school, but when she attends one party everything changes. Can it be love at first sight if you're blindfolded when you first encounter each other?